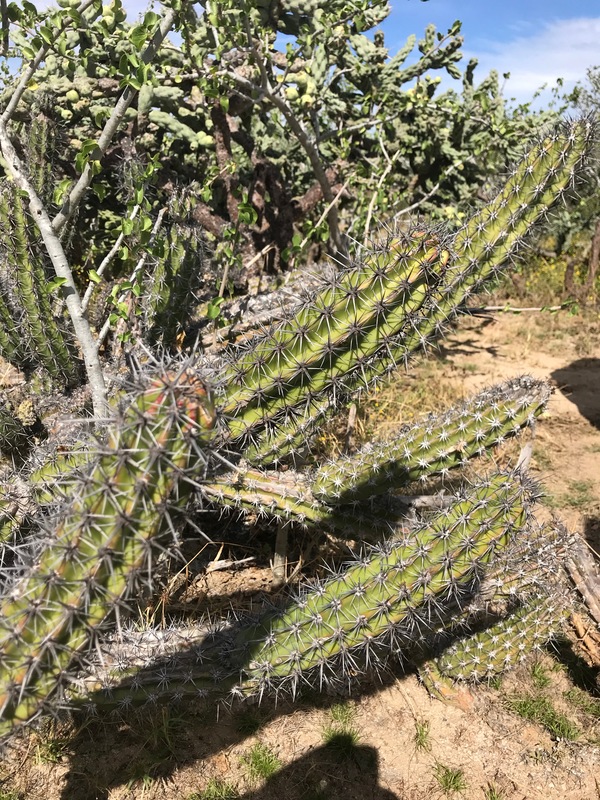 Cactus | Good News Tree Service, Inc. 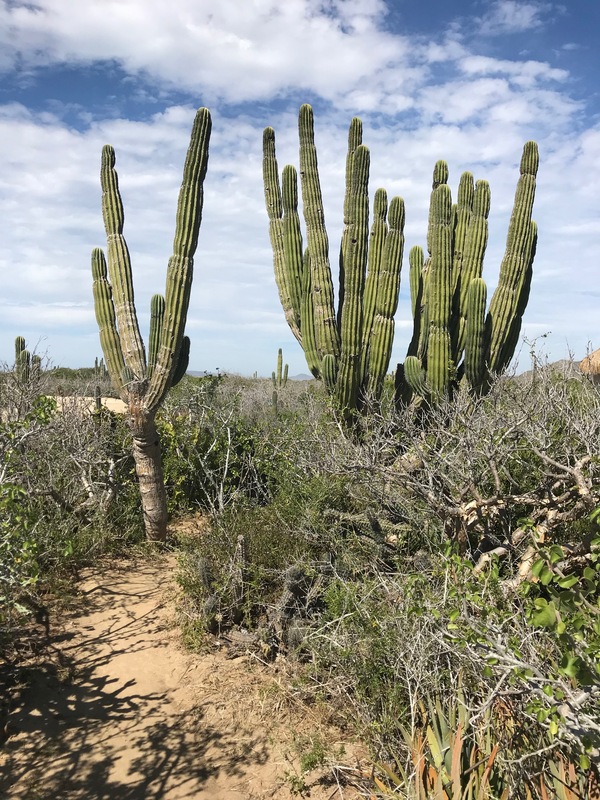 In Search of the World’s Largest Cactus in Cabo! 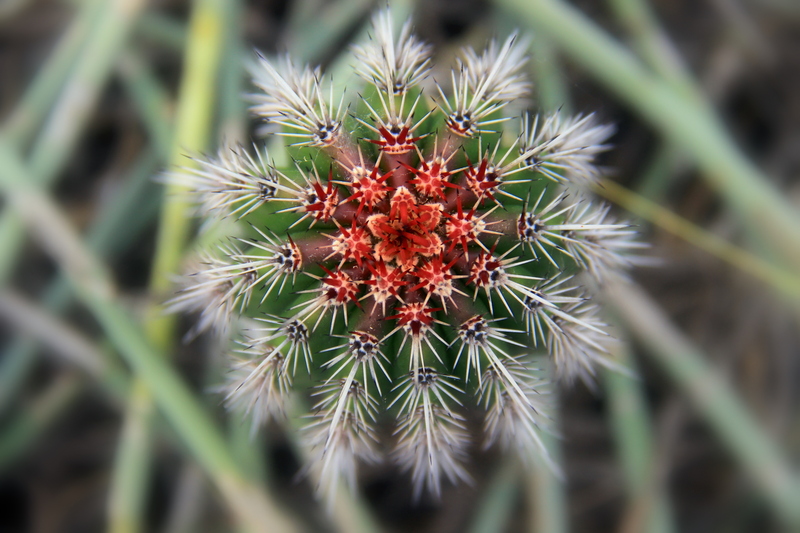 There are some 1750 known cactus varieties (Cactaceae family) in the world. Most are native to North and South America with few species native to Africa, Madagascar and Sri Lanka and some Islands in the Indian Ocean. 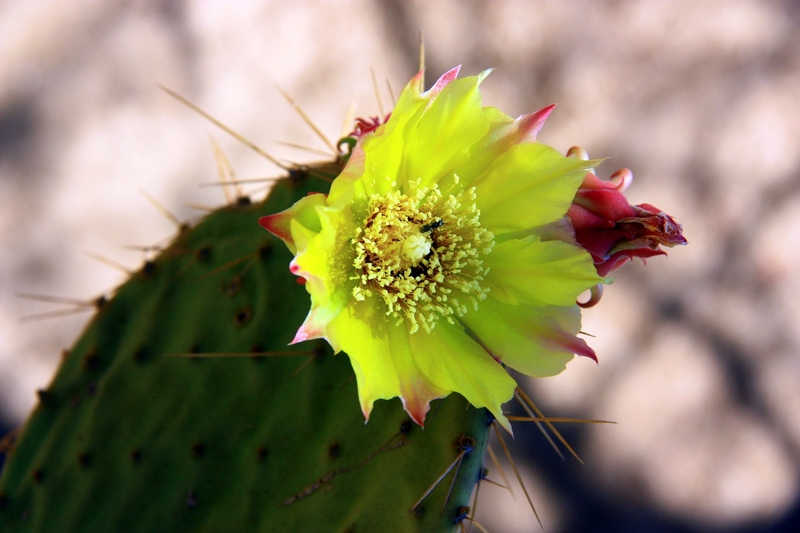 Hundreds of cacti are native to the Sonora and Baja deserts of NW Mexico and the US southwest. 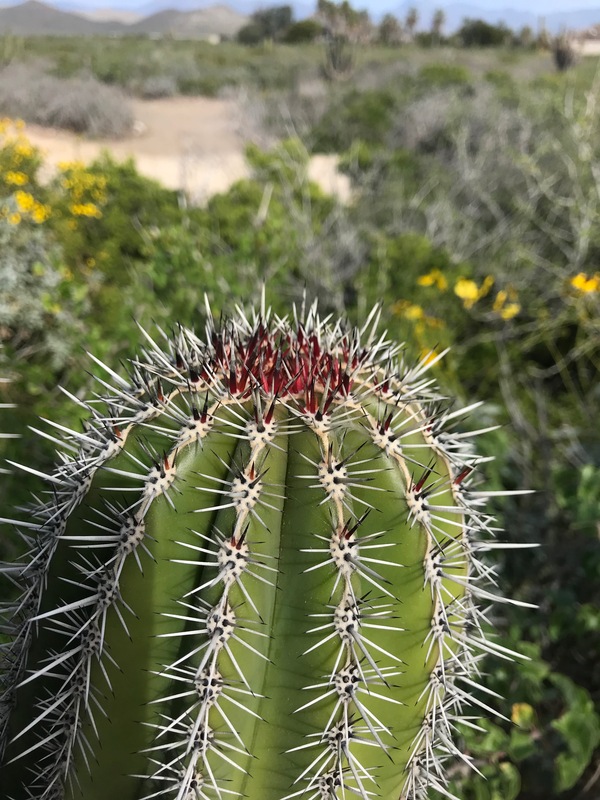 Recently, I took a trip to Cabo San Lucas on the southern tip of the Mexican state of Baja California Sur. 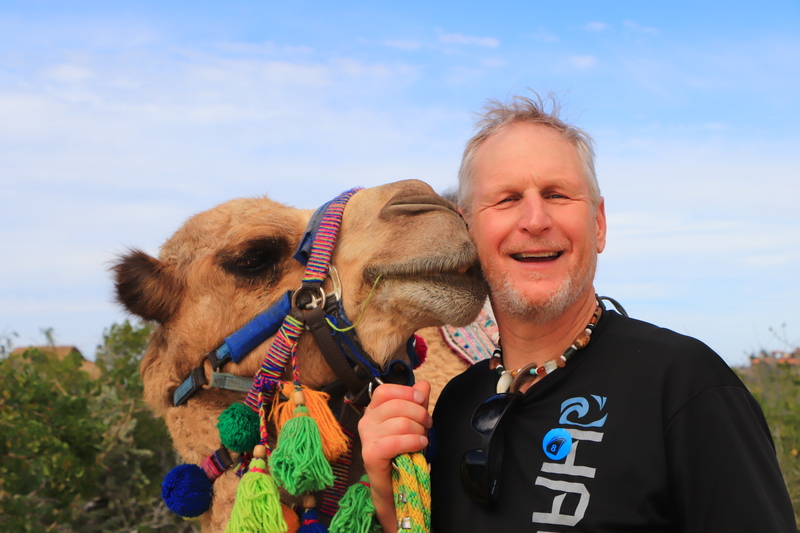 From Cabo, I travelled north about 40 or 50 miles along the coast for some fun in the desert. To my excitement, there were cactus everywhere. To this rusty, rain-drenched Pacific Northwest US web-toed native and professional tree-loving arborists, the unique novelty of an arid desert that receives only a couple of inches of rain per year and where forests of cacti abound stirs my flora passions and unquenchable curiosities to new highs. 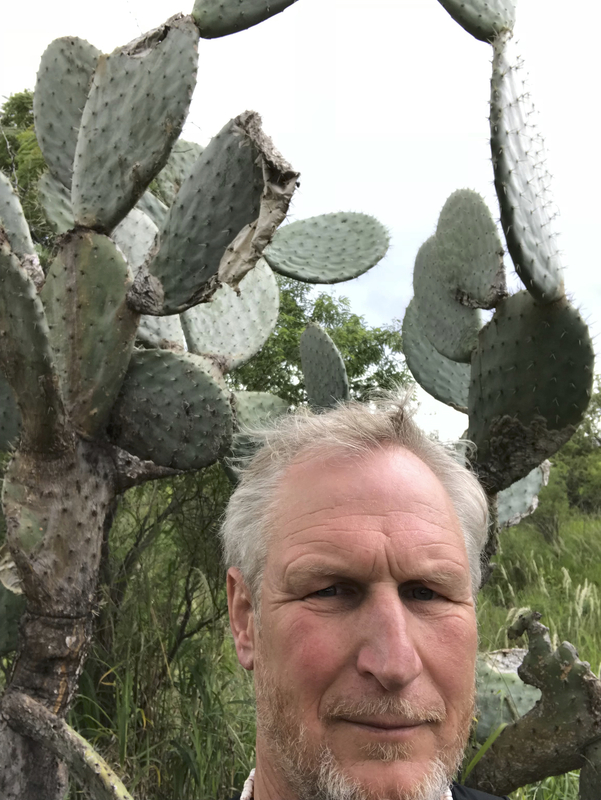 Wherever I travel around America and the world, I’m always in search of the biggest and most unique tree species the planet has to offer. 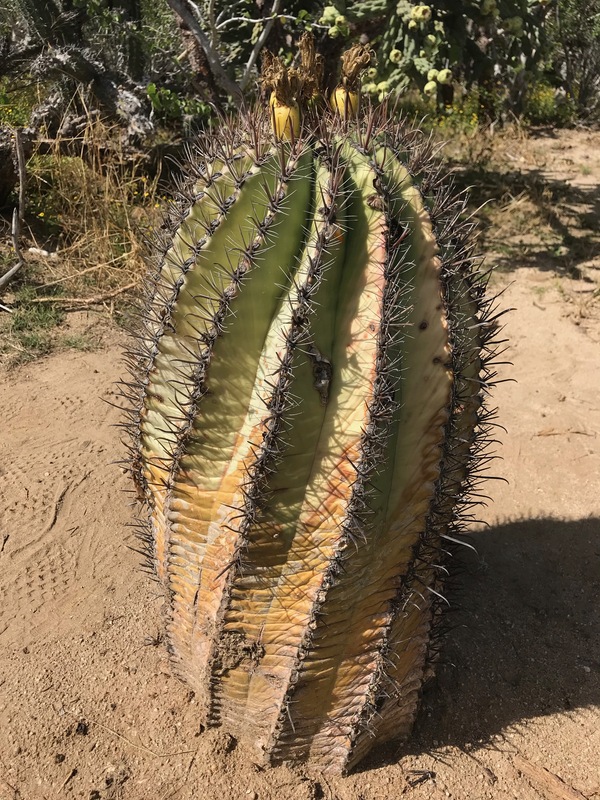 Well, I found one in Baja Sur California—the giant cardon or elephant cactus. 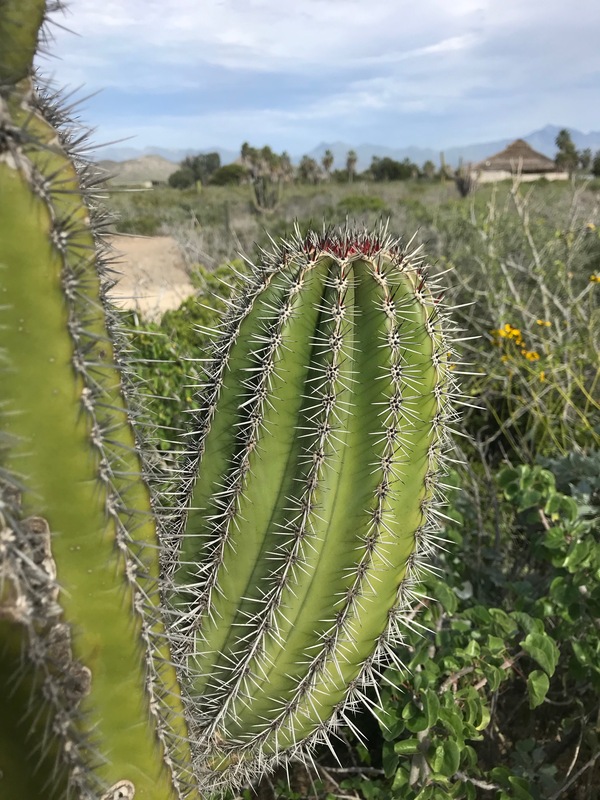 The largest cactus in the world next to the Saguaro cactus is the Mexican giant cardon or elephant cactus found in NW Mexico in the states of Baja California, Baja California Sur and Sonora. 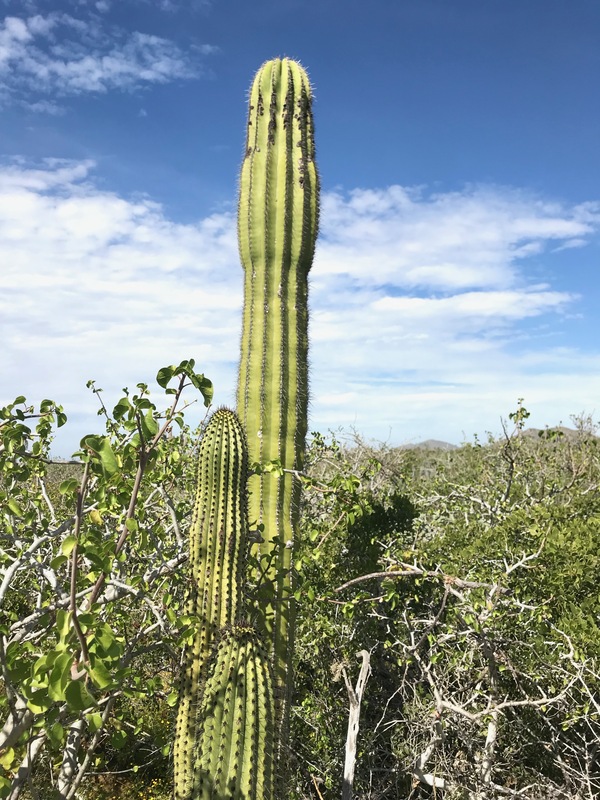 The maximum recorded height of the cardon cactus is 63 feet with a foot trunk diameter of more than three feet with several side branches. 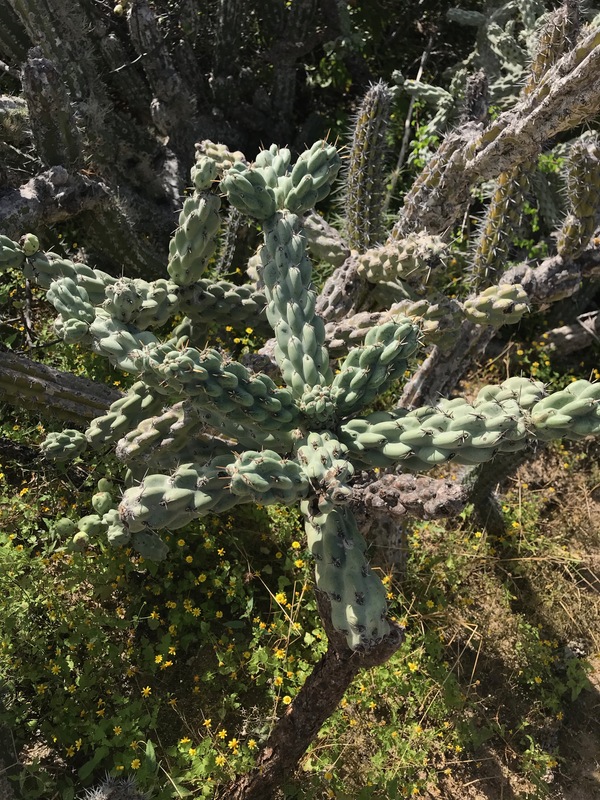 This cactus is slow growing and can live for hundreds of years and may weigh up to 25 tons. 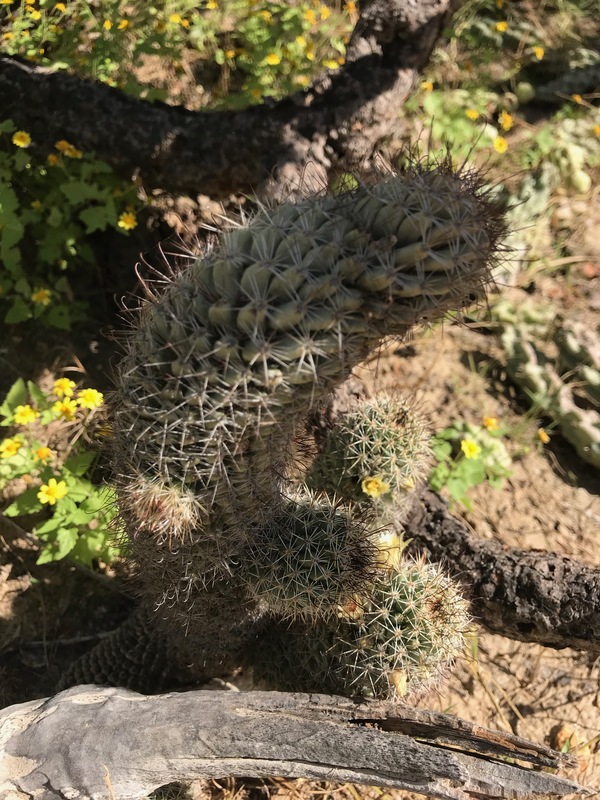 The saguaro cactus native to Mexico, California and Arizona generally grows to about 40 feet tall, but a few decades ago one blew down that was 78 feet tall. Currently, the tallest saguaro cactus is about 45 feet tall and is located in Arizona. This makes the cardon cactus, in reality, the tallest cactus on earth. 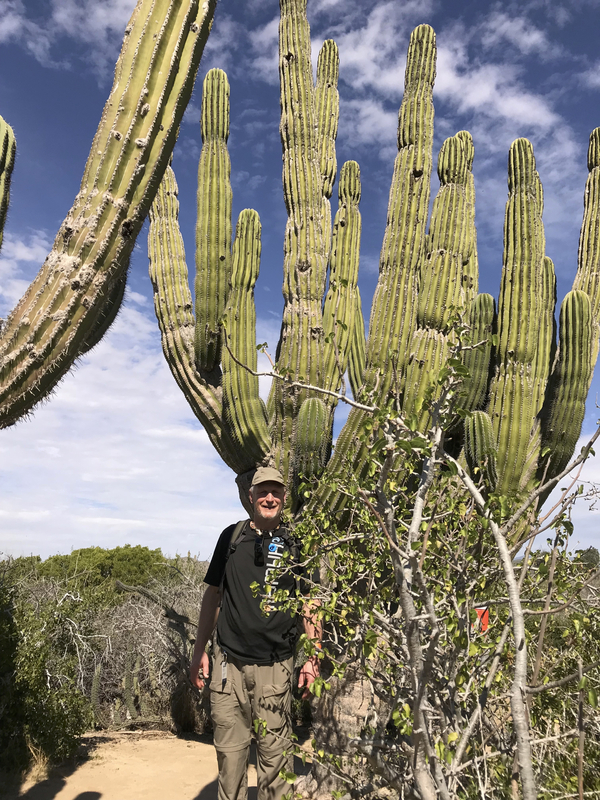 Though the cardon cacti I encountered weren’t the tallest giants of this species, many that I saw were still 20 to 30 feet tall. Here are some close up shots of this beautiful and exotic plant. I encountered in amazement several other varieties of smaller cacti as well. Some cacti were even in bloom. 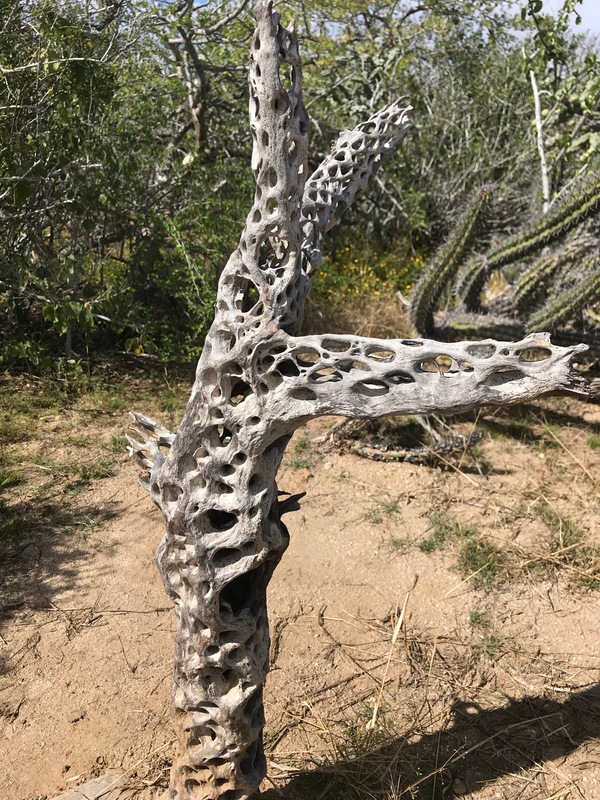 Here is the wooden skeleton of a long deceased cactus. 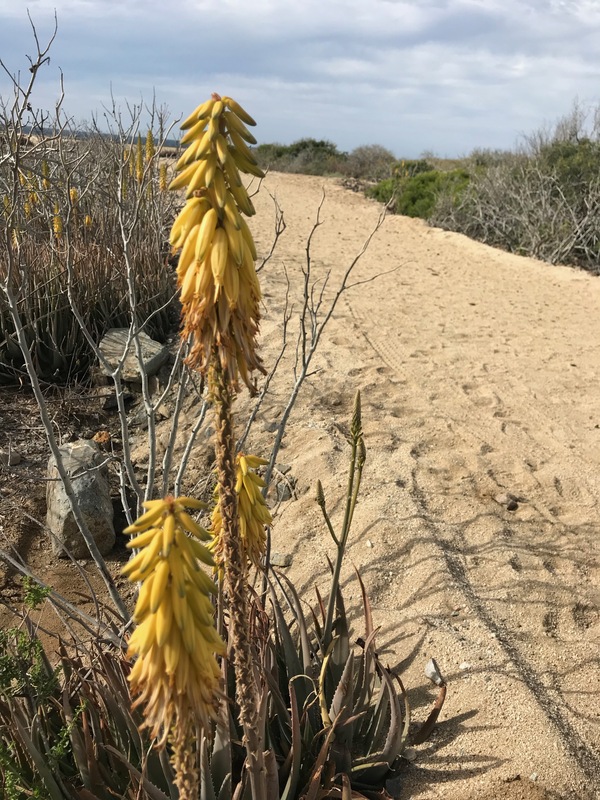 Ever see an aloe vera in full bloom? Neither had I until now. 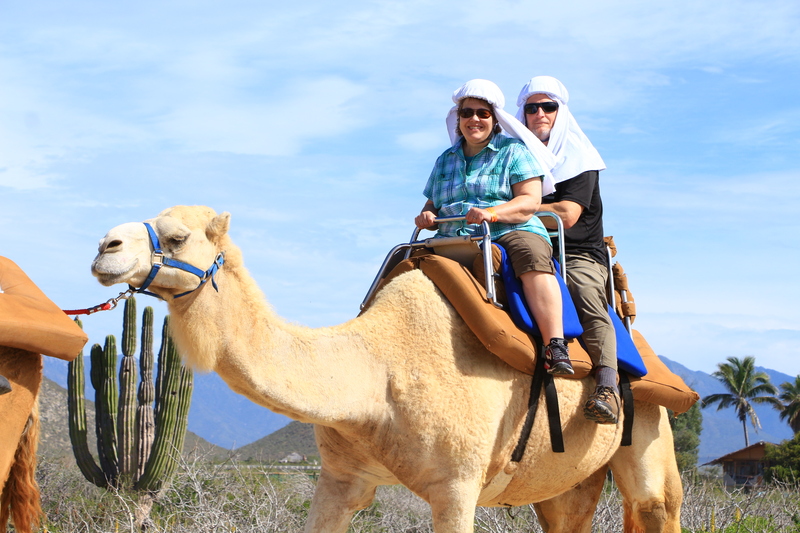 Okay, looking for cacti wasn’t the only thing my wife and I did on this excursion. Looking at cacti was a means to an end. 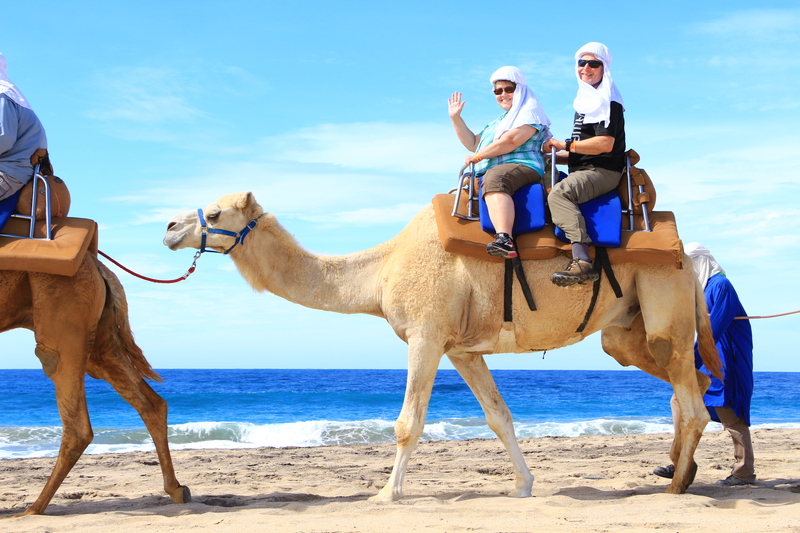 Imagine going to Mexico to ride a camel—on the beach no less! 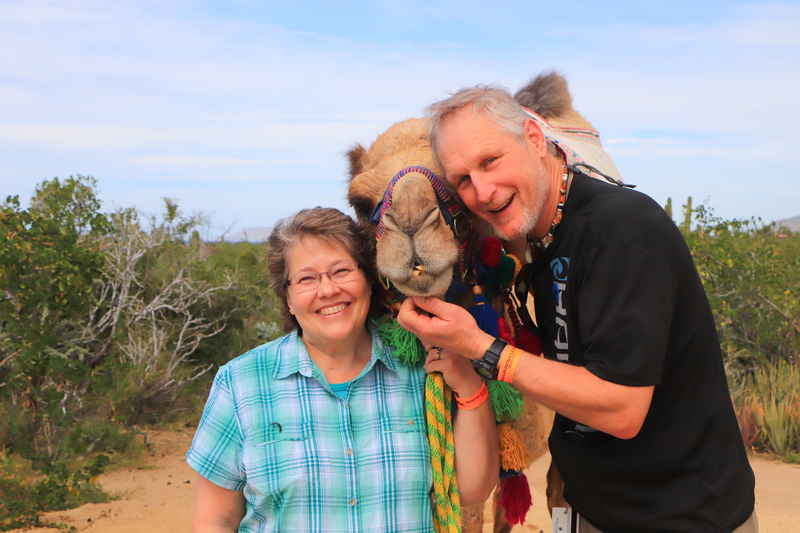 On more camel shot. I grew up on a farm and I love animals. What can I say? And here’s a final cactus picture. This one is from Maui, Hawaii. Yes, catcus in the desert area of SE Maui just feet from the beach and palm trees. No kidding! Deserts and cactus are not the stereotypical scenes one sees in the picture post cards of Hawaii, to be sure, but I was there a year ago and saw it myself. 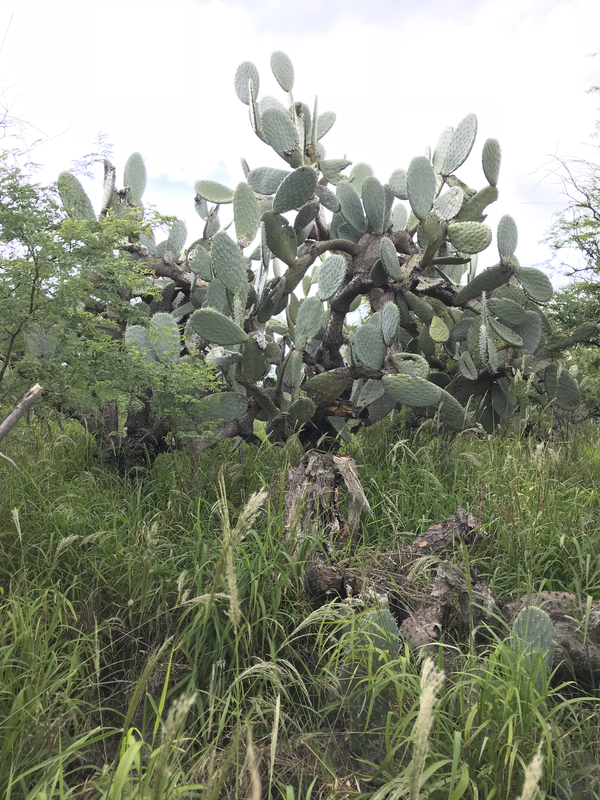 This is a non-native naturalized prickly pear cactus that was introduced into Maui in the 1800s apparently as cattle fodder. They get large there—about 20 feet tall. While I was taking this photo I heard and then saw a barking deer nearby. No kidding, a barking deer! I couldn’t believe my ears or eyes. Look up the “barking deer of Maui” online. It’s quite a story! 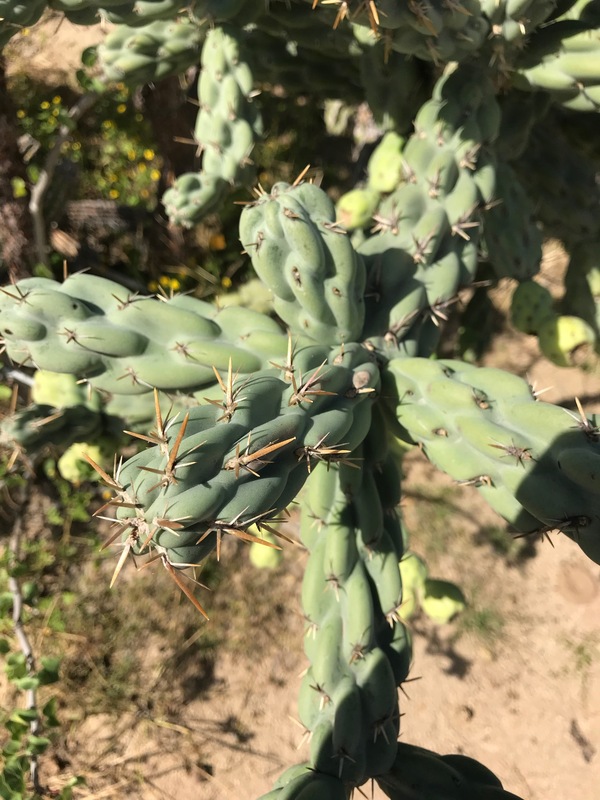 This entry was posted in Exotic and Interesting Trees and tagged Baja California, Cactus on 2019-02-02 by Nathan Lawrence.